The Hornbill Festival is one of biggest events of North eastern states of India , which showcases the entire Naga Culture. It is an annual ten days event that takes place from 1st of December to 10th of December. It is held within the confines of a heritage village called Kisama, this festival is a cultural extravaganza where the government, local communities and various NGOs get a chance to revive, protect and preserve the richness and uniqueness of Naga Heritage. For Tourists it is an incredible opportunity to get a ringside view of this elusive land, its people and culture. During this period, all the Naga activities are featured in the form of traditional dances, folk songs, traditional sports and tribal food and drink go around in plenty. Progress of the modern Nagas in the field of modern music, fashion and handlooms, handicrafts and paintings are also showcased during this event. 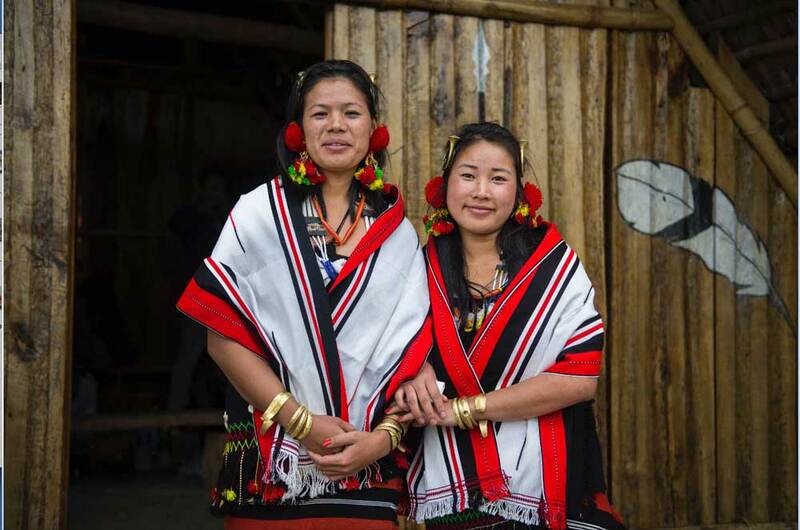 The Hornbill festival has become a mega event not for just 16 tribes of Nagaland but also for the remaining seven North East Indian states to showcase the best of their cultural elements. It is a mammoth task for a tourist to cover all the north eastern states at once , hence this festival provides an ideal platform for getting a glimpse of eight sisters of India. Our representative meets you at the Airport . On arrival you are transferred to Kohima . Lunch and dinner will be served inside the hotel . The evening will be spent to explore the interesting night bazaar. Overnight in hotel. Today we will drive to Kishama heritage village to enjoy the full day at the festival grounds. Later we will visit the interesting traditional Naga baazar .Overnight at Hotel. Today we will take an excursion to the beautiful Khonoma Village , one of the most beautiful village of Nagaland. Return back to hotel in the evening. Optional visit to attend Naga Rock Concert. Overnight at hotel. If your rooms have lockers , its advisable to leave your valuables there .